Here is a collage of some of the variations possible with the Orbit Baby system! Over 12 years ago in the Product Design department at Stanford, Bryan White and Joseph Hei were pulling an all-nighter to meet a design project deadline and talked about starting their own company. They knew they wanted to build products that worked smarter, looked better, and addressed a challenging problem space. While that project is long since forgotten, the original dream and the vision from that night endures, and Orbit Baby is the result. In the intervening years since that night, Joseph and Bryan each got married, started families and embarked on careers, gaining experience in design, engineering and manufacturing. Most recently they found themselves working together at IDEO, a celebrated design firm in Palo Alto, California. When Bryan and Joseph ended up leaving IDEO at around the same time, they took advantage of a great opportunity to start something together. The challenges of child transportation that they observed in their own families and those of their friends revealed a unique opportunity - they would apply their experience to building a better child transportation system. While they had learned lessons caring for their own children, nieces, and nephews, they still spent hundreds of hours observing and talking with other parents so that they could do more than just solve personal frustrations with baby gear. They pored through reviews and parenting blogs, ordered all types of products from overseas, and compiled “bug lists” of what bothered parents most. They also tapped the knowledge of some of the leading experts in the field of child seat safety. This user-centered design approach led them to the first simple prototypes of the concept that would grow into the Orbit system. 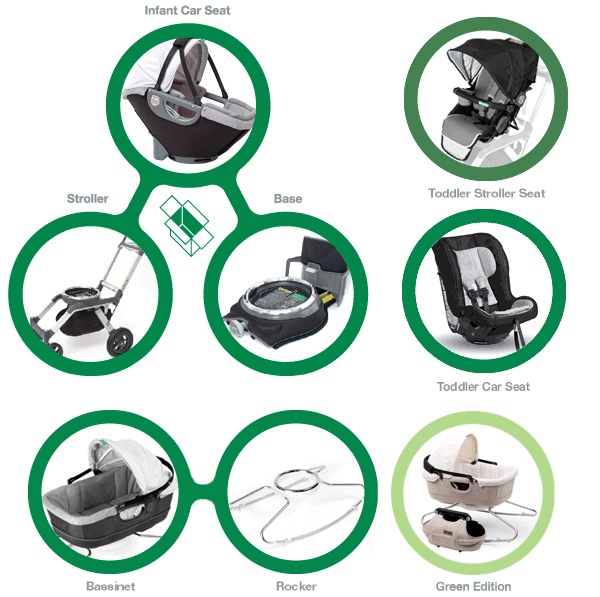 After analyzing the engineering challenges involved, and developing the innovative technologies and designs that make car seats and strollers significantly better, the first of a family of products began to take real shape. The team filed patents for over 10 key technologies. To round out the founding team, their wives - Farrah White and Vivian Chiang - joined Orbit to energize the operations, sales and marketing efforts with their strong backgrounds in business and management. Also, fellow IDEO alum and decorated industrial designer Chris Loew joined to infuse all of Orbit’s efforts with his thoughtful designs. Now, the little company that Bryan and Joseph dreamt about has grown to include a diverse team with varied backgrounds that encompass architecture, electrical and mechanical engineering, pharmaceutical research, marketing, business, and of course product design. We are a company of passionate, committed, community oriented individuals whose personal time includes volunteering as mentors with local youth, coaching sports teams, supporting environmental causes, enjoying outdoor sports, and participating in local parenting groups. 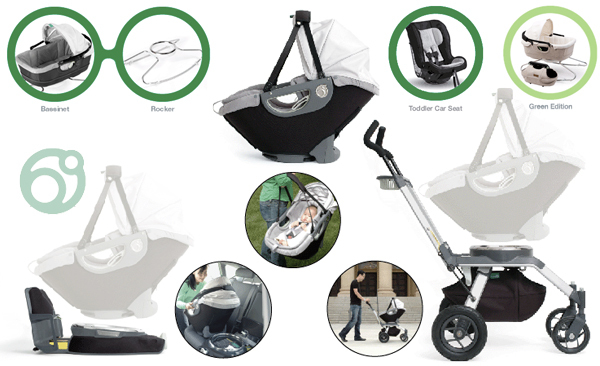 I like it, and I think its cheap for great baby stroller with full function like modular system stroller. We have the Orbit and LOVE it! 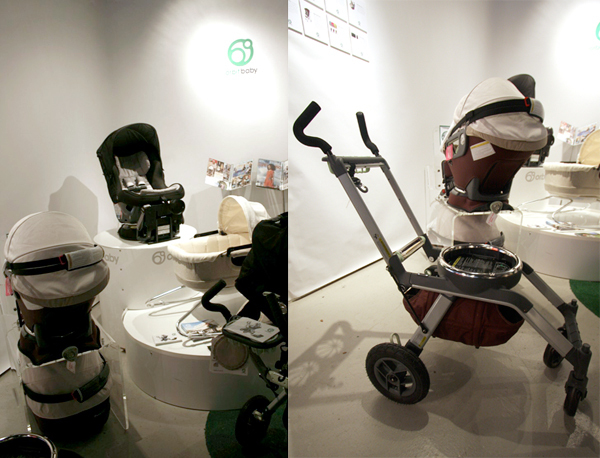 Much like NOTCOT favorite political candidate (Obama) the Orbit stroller offers change, but no substance. As any parent knows, many of the features are totally unnecessary, why would you want to push around a toddler car seat? There are also some major design flaws that are evident to any parent that has pushed a stroller around town. I find it hard to believe these people have kids. The fact that they keep you coming back for more for each stage of your child’s life, may be a dream from a business standpoint, but an expensive nightmare for parents. Bottom line line - get a Bugaboo. 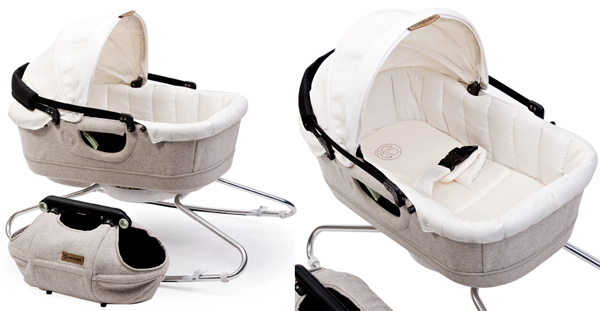 The Orbit Baby stroller and car seat are the best around. We have it and have loved it from the time we got it out of the box until now. We get so many stares and questions about it everytime we take it out. Our son loves being in it,especially since he can face any direction when he is in the strller. we highly recommend it to anyone!!!! very nice. im not a mother myself but i know tons who would love to have one of theese… are they on the market? price? All you really need is a stick a wheel and a bungie cord. Beyond that you are just wasting space.